Pakistan Cyber Force: Good Bye Filthy System + Imran Khan unless Dacoits & Foreign agents are filtered from PTI + Suud, Ribaa, Kashmir TOP Party manifesto; Democracy trashed for good! Good Bye Filthy System + Imran Khan unless Dacoits & Foreign agents are filtered from PTI + Suud, Ribaa, Kashmir TOP Party manifesto; Democracy trashed for good! Ever since the existence of Pakistan, we have experimented all kinds of systems and rulers, and there is no hesitation in saying that none have satisfied us. We have seen dictatorships, we have seen democracies, we have seen Bhutto’s socialism, we have seen Musharraf’s secularism, we have witnessed every tyrant system of kufr, and all they have given us is a failed government, failed industry, and failed justice. I am not dithering to say that Zia ul Haq’s reign was probably the best time Pakistan has seen since 1947. Not only because he implemented Islam, but we also saw our great potential as a Muslim nation. On one side, we were tearing a superpower of the time apart, on the other side; we were dealing with dignity with other superpowers. As Dr. Abdul Qadeer Khan has said in the following interview, whenever he would ask General Zia about what to tell Americans if they demand information about the progress of Pakistan’s nuclear project, General Zia would order him to tell them to mind their own business. Can you even imagine any current Pakistani politician saying that to the Americans? Not only this – General Zia had also kept the Indians on their heels. During his reign, no Indian dared to accuse Pakistan of any terrorist attack, and neither could they malign the ISI. General Zia ul Haq had given them the warning in 1987, that “If your forces cross our border by an inch, we will annihilate your cities”. His main attribute for which he is celebrated among Pakistanis and Muslims at large is that he implemented Islam’s essence in Pakistan. He took Pakistan to its actual potential. Where on one side Pakistan was liberating Central Asian Muslims, and on the other side it was representing Islam in the UN. If there is any face that is considered a “hope” in Pakistan today, it is Imran Khan. But let us leave the achievements in cricket aside for now. Whenever changing the system is mentioned in front of a PTI supporter, whenever Imran Khan’s “revolution” is exposed in front of a PTI supporter, you are bound to hear him/her say “You gave everyone a chance, give IK a chance too”. Is this where it all ends? power. 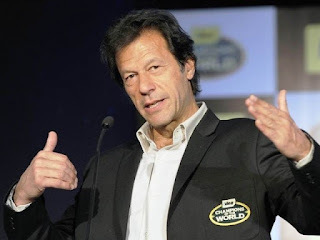 Certainly, every Pakistani considers Imran Khan a hero because of his achievements as the captain of Pakistan Cricket Team and his efforts in the betterment of hospitals and education in Pakistan, but it would be foolish to label these achievements as reasons for him to become the head of the state. At this stage, his policy making is what matters, his political team is what matters, and his stance on key issues of Pakistan and the world is what matters. And when we probe in those factors, there is not much that separates him from his political rivals. It has already been revealed on many cyber forums that Imran Khan’s political group is full of the same old corrupt/failed politicians whom he once talked against. The lotas who are known to have looted the wealth of Pakistan for their Swiss accounts are now joining Imran Khan. Following is an “incomplete” list of the major failed politicians that reside in his lap. Abdul Rasheed Bhatti - at least 9 cases of murder and other crimes registered against him. He is notorious for his criminal activities. Abdul Aleem Khan - a known thug land mafia head in Lahore who made billions in Busharraf era through illegal means. Farooq Amjad Meer - PML Q MPA during 2002-2007 close aide to Chaudharies. Zaheer Abbas Khokhar - MNA on PPP ticket in 2002 then joined patriots on pressure from Busharraf, stays in power. Shahid Akram Bhinder - Busharraf's law minister during 2002-2007 and key actor for use of force against judges and their imprisonment. It is also well known now that Imran Khan is very compromised on the conflict with India over Kashmir. In fact, he had deliberately betrayed the Kashmiri martyrs by giving in to the Indian journalist, and saying, “Put Kashmir on the back-burner, lets trade with trust”. Imran Khan believes that Pakistan should leave the just and aggressive stance that Quaid e Azam took on Kashmir and it should build trust with the neighbor with whom it not only fought three wars, but who is also behind all the extremism, separatists, and insurgencies in the nation. Let it be clear that the Kashmir Jihad was started by our Quaid e Azam himself, and Imran Khan is no one to end it. Revolutions do not come like this. In a revolution, regimes are toppled, systems are changed, and nations rise. Who is foolish enough to believe that ballot boxes are the key to revolution? 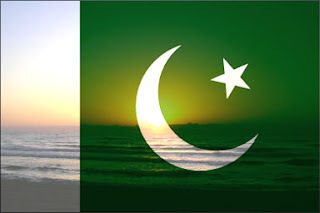 As mentioned in the very start of this post, Pakistanis have tried almost every system of kufr there is, and none of them have satisfied the Pakistanis. If the PTI inqilaabis believe that they can bring a revolution by operating in the same system, and not aiming to change it – they are wrong. Allama Iqbal (ra) received great criticism when in his time, such random “revolutions” and movements had taken charge, and he wasn’t being a party to them. His argument was simple, that if Muslims work alongside Hindus in their struggle for freedom, they will fail. But unfortunately most of those “revolutionaries” only found that out the hard way. Today, men with vision are talking in the same context. No matter how sincere Imran Khan is, he will fail if he operates in this system of parliamentary democracy. And we have seen that in the past few months. After getting used to this system, Imran Khan’s tough stance on war on terror and feudality has changed completely and now is busy hiring all failed and crooked politicians to strengthen the vote bank of his party. Men of Allah had said way back in time, that if Imran operates in this system, he will have to work with the failed politicians he hates, and that is what we see today. Not only is he working with the failed politicians he was once against, his stance and character has also become compromised. Compromised leaders are not capable of bringing about revolutions. All those who are following Imran Khan blindly must depoliticize their mindsets for some time. They must realize that these rallies are diverting their attention from the actual threats and problems that Pakistan faces today. Pakistan faces heaps of internal and external threats. Internal threats come from these failed politicians themselves, and external threats are very well known. If at this crucial stage, elections take place; there is fear among patriots that Pakistan might face the consequences of 1971 again (Insha’Allah that will not happen). Pakistanis need to take a tough and aggressive stance against this failed system of political democracy, and not give any more chances to these systems of kufr. Now is the time that we revert to the duty that Quaid e Azam (ra) had given us. Which was to serve Islam. He ordained us (in his last speech) to come up with new systems of governance and economics, in the light of Quran, so that we as Muslims solve the problems that the world faces because of the failed systems of the West. Army and Supreme Court must come together and remove this treacherous government. They must bring new patriotic caretakers that are assessed against articles 62,63 of Pakistan constitution so that all economic and external threats are dealt with swiftly. During this period of time, Pakistanis must also focus on creating the new systems of governance, social justice, economy in the light of Quran and Sunnah, to bring Pakistan and the rest of the world back to its feet.